I seldom buy buns or bread as I always make my own. Yesterday, unintentionally, I saw some round bread bowls right in front of me once I entered the supermarket. The bread bowls were displayed nicely in a big basket along with the price tag. That's how the whole thing caught my eye. Looking at the price, they were only selling for CDN$0.59 each. How could it possibly go wrong with this price for a big, decent size bread bowl? So I picked up a few and put them in my cart. As the cold weather is approaching, what else could be better than a bowl of hot soup. I make barley soup only occasionally. For some reason, the barley was suddenly in my head when I walked through the aisles. 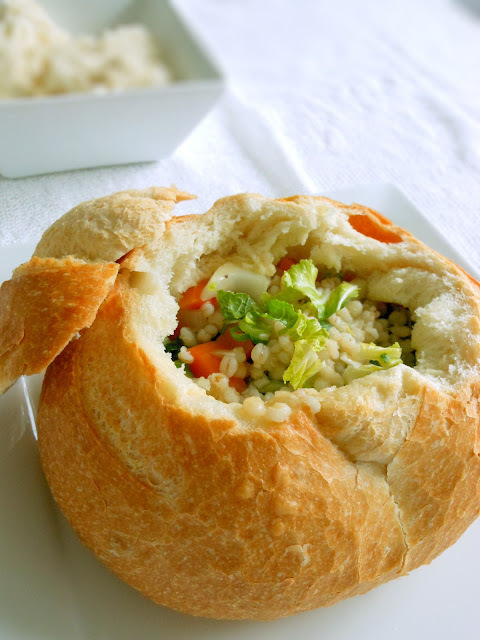 I decided to make some barley soup serving in these magnificent edible bowls for dinner yesterday. The soup was chunky, thick, and creamy. Thanks to the barley! Cut off the round top of the bread. About 4" diameters. Remove the bread in the center. Keep the bread for dipping. Set aside. Heat olive oil in a pot over medium heat. Add garlic, onion, and barley. Saute for 2 to 3 minutes or until slightly brown. Add vegetable broth and carrots. Bring to a boil. Reduce heat to low temperature and cook for 45 minutes to one hour or until barley is tender. 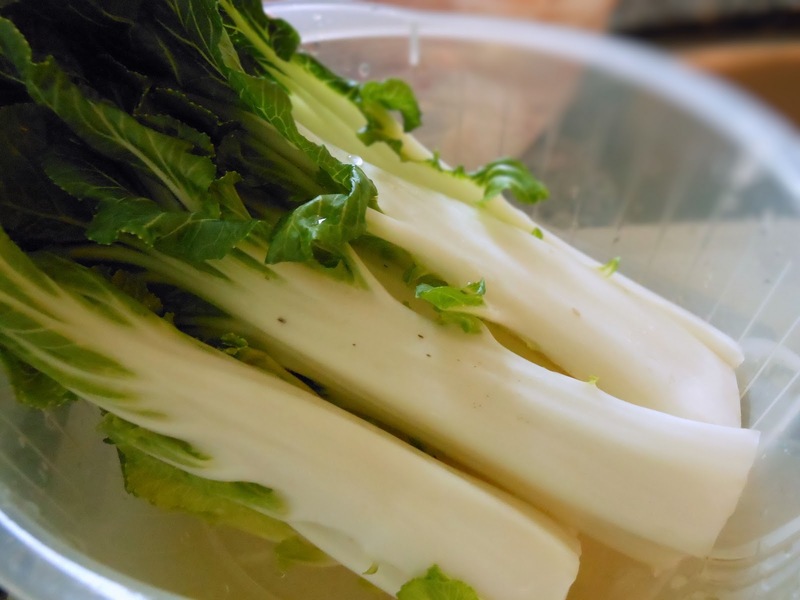 Add bok choy and continue to cook for 10 minutes. Remove from heat. Pour the soup in the bread bowls. Serve immediately.